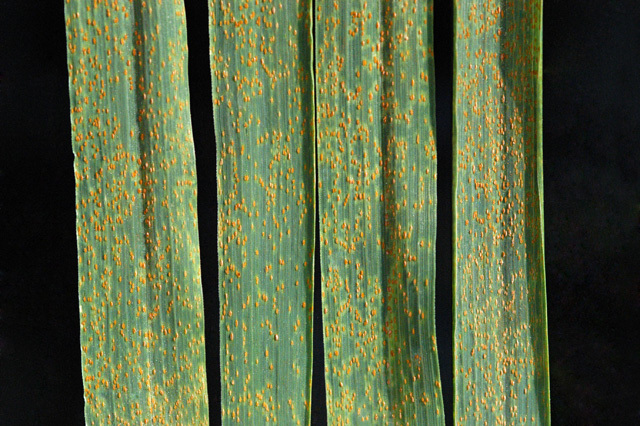 Wheat leaf rust is a fungus that affects the stems, leaves and grains of barley, rye and wheat. Infections of wheat rust can often lead up to a significant crop loss of 20%, and sometimes 50% in severe cases. Wheat rust is spread by airborne spores. The germination process requires moisture and places with 100% humidity have more problems with the infection of crops. 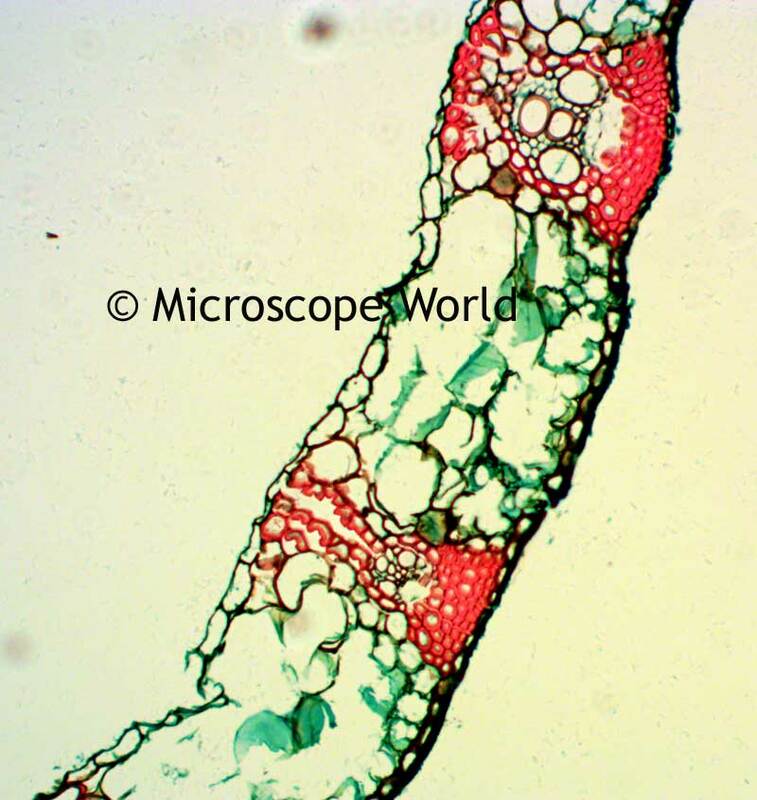 Wheat rust captured at 100x magnification using the BA310 biological microscope and the MW5.1 CCD microscope camera. Infectious spores are spread through the soil. The disease onset is slow, but in temperatures above 60°F it accelerates. 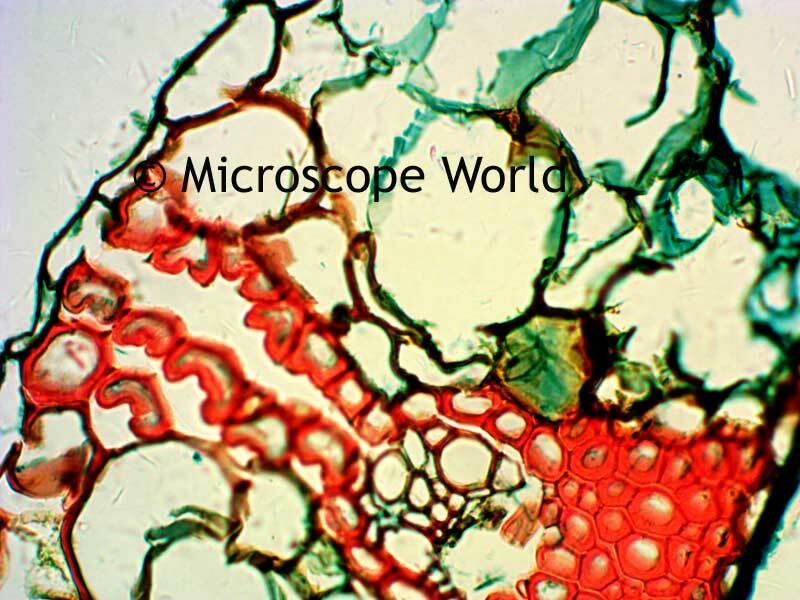 Wheat rust captured at 200x magnification using the BA310 biological microscope and the MW5.1 CCD microscope camera. 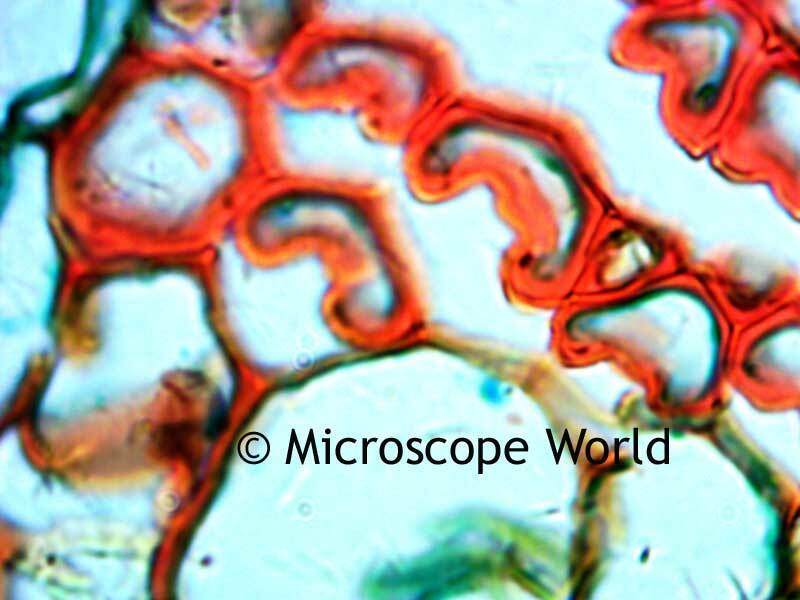 Wheat rust captured at 1000x magnification using the BA310 biological microscope and the MW5.1 CCD microscope camera.